Looks like yet another developer has adopted the LEN WEEKS and JOHN VALDES approach to historic preservation, with the 1911 building at 19 Aviles Street in danger of falling down after questionable construction work. This latest outrage must be investigated by local state and federal lawmen for criminal, civil and administrative remedies. The "demolition derby" in St. Augustine, Florida must end. With a St. Augustine National Historical Park and National Seashore, we can get federal funds and expertise to preserve our history and nature here. Our City officials urgently require a spinal and testicular implant. 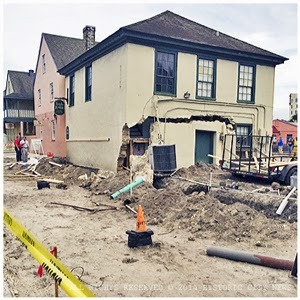 The city of St. Augustine has closed Aviles Street between King and Cadiz streets to vehicle traffic as it evaluates the safety of a building with prominent cracks in the facade. The city is now evaluating whether the building at 9 Aviles St. should be demolished or partially saved, City Manager John Regan said. Pedestrians can still access the road, and businesses are still open, according to the city. Crews shut down the centuries-old street on July Fourth because of safety concerns about the one-story commercial building. The city Planning and Building Department learned on July 3 that a team working on the building’s rehabilitation had concerns about its stability, according to the city. The building was built in 1911 and is unoccupied, according to the city. It is surrounded by shops and restaurants. Trolleys, horse-drawn carriages, pedestrians and vehicles all use the road. 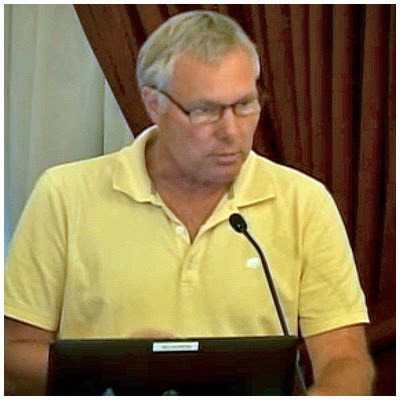 Property owner Harold Bishop applied to the city’s Historic Architectural Review Board for on an opinion of appropriateness for plans to change the facade, according to city documents. Those plans included changing doors and windows, adding new doorways and a window with a parapet and changing the roofline, according to the application. The board approved the application in June with conditions. An opinion of appropriateness is a preliminary nod of approval from the board on construction plans. I am a total defender of historic preservation but just to try to balance this article a bit. Around two years ago a friend of mine was seriously interested in purchasing this building and even put in an offer. This friend asked me if I could get my building code official/building inspector (plus numerous other construction licenses) to take a cursory look at the building before making any further attempts to purchase. My building code official friend told him to stay a million miles from it because certain parts of the building could collapse at any time, primarily the front facade.